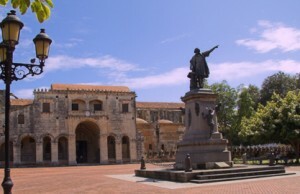 The Dominican Republic, sharing the island of Hispaniola with Haiti, was the first landmass of the Americas that Christopher Columbus landed on in 1492. Though originally settled by Spaniards, the Dominican Republic, or “DR,” is a multi-ethnic and multi-cultural nation with European, African and Taíno (indigenous tribe of people originating from South America) roots. There is also a large Haitian minority living in the DR. The majority of the population carries Hispanic characteristics, however, with the national language being Spanish. Nearly 200,000 Dominican children are officially considered orphans. It is our goal to help more of those thousands of children left behind find their forever families in the U.S. Improving child welfare remains a challenge that the government is working on, but due to economic inequality, poor education systems and lack of access to healthcare, there is still a long way to go. The DR is party to the Hague Treaty on international adoptions. The adoption authority is the National Counsel for Children and Adolescents (CONANI), which handles the adoption process in conjunction with Dominican courts. Children of All Nations is directly accredited by CONANI and works with a reputable law firm to handle all adoption cases successfully in court. If you would like more information about our Dominican program call an adoption consultant today at (512)323-9595 or send us an email. Children available for adoption from the Dominican Republic range from young toddlers to teens. They are often abandoned or found working in the streets due to the poor economic situation of their parents. 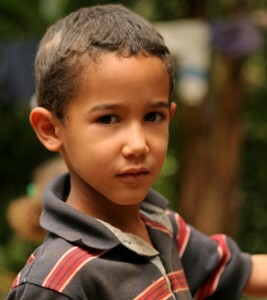 Dominican children are of Hispanic descent, or are often bi-racial as there is a large Haitian minority in the country. Most children will have brown eyes, light brown or dark brown skin, and black or brown hair. Families considering adopting a child will have access to child’s background information before travel. In addition to the USCIS eligibility requirements for prospective adoptive parent(s), Dominican Republic has the following adoption eligibility requirements. If you feel you are not eligible to adopt from Dominican Republic, or you are unsure, contact us for a free case-by-case consultation regarding your adoption. Citizenship: One adoptive parent must be a US citizen. Age: Adoptive parents must be at least 30 years of age. Parents can be as old as 60, but must be at least 15 years older than the child they plan to adopt. Marriage Status: Married couples should be married at least 5 years. There are no prior divorce restrictions. Income: There is no minimum income required. However, you must meet the income requirements provided by USCIS for the child to immigrate. Medical: If you take prescription medicine or have a medical condition, please contact our adoption consultant to determine your eligibility. Children in Home: There is no limit to the number of children currently in the home. Dominican Republic adoption eligibility requirements are subject to change per Dominican Republic adoption laws. CAN updates these guidelines as necessary. If you would like more information about our program call us today at (512)323-9595 or email us. The time frame to complete international adoption from the Dominican Republic is currently about 18 to 46 months, depending on the time families take to complete their dossier paperwork, their preferences for age and special needs, and country processes. Parents who wish to adopt a child under 2 years old will wait longer for a referral, thus you will fall closer to the end of the estimated timeline above. This time frame is subject to change; please consult CAN for the most current processing times for your adoption from the Dominican Republic. To adopt a child, please complete our agency application. For your convenience, you may access the application online. If you have any concerns about eligibility requirements, please contact us before filling out this application. We will promptly review your eligibility to adopt from the Dominican Republic once we receive your application. If approved, we will provide you with our agency contract that outlines our fees, services and important information regarding the Dominican Republic adoption process. Upon receipt of your signed contract, CAN will start to provide you placement services for a child from the Dominican Republic. Once your agency contract is in place, it is time to get started on your dossier. This will include a home study to assess your readiness for international adoption from the Dominican Republic and help prepare you for adoptive parenthood, filing with USCIS for international adoption approval, and gathering your necessary dossier documents. These dossier documents must go through the appropriate notarization and authentication processes. CAN offers a complete Dossier Preparation Service to ease your international adoption and give you peace of mind. To ensure that prospective adoptive parents are prepared for their international adoption journey, our agency requires that parents complete 10 hours of adoption training as mandated by the Hague Convention. To satisfy these hours, we have developed an online parent training program that we are proud to include in CAN’s service plan. For an overview of the program, please click here. 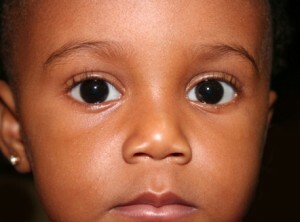 Please contact us for more information regarding adoption from the Dominican Republic. Your dossier will be sent to CONANI, the adoption authority of the Dominican Republic, first being translated and legalized by our in-country lawyers and the translator. Although timelines are hard to predict, you can generally expect a referral 1-2 years after your dossier has been turned in to CONANI, depending on the age of the child you wish to adopt, whether they have special needs, etc. However, if you want to adopt a healthy child under 2, be prepared to wait twice as long. After you are matched with a child or sibling group, you should be prepared to travel and live in the Dominican for a cohabitation and bonding period of 60 days. For families adopting a child age 12 and over, you may be allowed a bonding period of 30 days, but this is entirely dependent on the local authorities. Both parents must participate in this cohabitation period to bond with the child. CAN and our on-site staff will find you an apartment during this time. During this period, you will be visited periodically by a social worker to evaluate whether you are bonding with your child(ren). Once this period is finished, one parent may return home while the other stays for the remainder of the adoption process. Once the cohabitation/bonding period is complete, there are additional legal and facilitation procedures that must be completed, which can take up to an additional 2 months. At least one parent must stay in the Dominican Republic during the finalization process, but your child will continue to live with you during this time. After the adoption is finalized and an immigrant visa to the U.S. is issued, you may bring your child home. 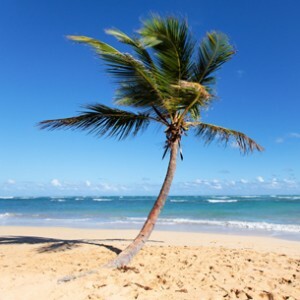 Please note that based on the above, Dominican Republic requires a lengthy stay in country overall (a minimum of 3 months) that is subject to change. Families must be prepared to be flexible depending on the logistical requirements/needs of your child(ren), as well as prepared for the extensive time in country. The Dominican Republic requires 5 post-adoption reports once a year for the first 5 years after the adoption is finalized. These reports demonstrate to the Dominican government the benefits of international adoption for their children. Children are generally kept in orphanages when they do not have parents or their parents cannot care for them. Unfortunately, there is not a strong foster care system in the Dominican Republic. Though most orphanages are government-funded and public, there are also those that have been set up by private organizations, most of which are religious. Orphanages often receive local and international volunteers, especially if they are near large or touristy cities. Adequate supplies and facilities are generally found, but the standard of living for these children is still extremely low compared to other western cities. Caretakers do make it a point to provide schooling for the children, whether they have a teacher on site or the kids go to public school. Urban orphanages most often send the children to public school, but rural orphanages with no close proximity to a school will have a teacher or tutor come in. These children don’t always receive adequate schooling, however, compared to children in the cities.